ABQAURP's 40th Annual Health Care Quality and Patient Safety Conference (HCQ&PS) will deliver multiple innovations, models, and best practices that have evolved to address the challenges you are facing. As we address our core competencies, high quality and safe health care still remain anchored to the partnership between patients and their health care providers. Today's health care is provided in multiple settings, relying on people with varied expertise and training, under a variety of payment scenarios. Volume to value, fee for service to capitated risk, acute "sick care" to prevention and chronic disease management are just a few of the situations health care providers must face. ABQAURP will demonstrate a multifaceted approach to streamline the management of health care and improve patient outcomes. Explore strategies and emerging solutions to successfully implement into your daily practice or health care organization. This course has been selected by ABQAURP as a "CE Spotlight" course. CE Spotlight courses are complimentary as a Membership benefit with ABQAURP! Please Sign In to receive the member discount. The American Hospital Association's (AHA) Health Research & Educational Trust (HRET) recently announced the positive results of the Hospital Engagement Network (HEN 2.0) project. Just days after, the Centers for Medicare & Medicaid Services announced HRET as one of 16 recipients of the Hospital Improvement and Innovation Network contract. Hospitals continue to make great progress in their journey to improve patient care, according to new results released by the American Hospital Association (AHA)/Health Research & Educational Trust (HRET). Over the past year, the project, part of a national performance improvement project sponsored by the Centers for Medicare & Medicaid Services (CMS), helped hospitals reduce early elective deliveries, blood clots and infections, preventing more than 34,000 incidents with an associated cost savings of nearly $300 million. Explore the valuable tools, HRET reductions in harm results and the importance of senior leadership in advancing patient safety. This session was recorded live at our 2017 Annual Health Care Quality & Patient Safety Conference and is a portion of the online course entitled: A Multifaceted Approach to Health Care Quality and Patient Safety. 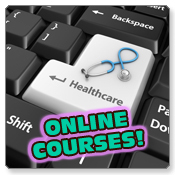 This course is intended for Physicians of all specialties, Nurses, and Other Health Care Professionals with appropriate CME credit and nursing contact hours offered for each profession. Identify signs of provider burnout, and recognize when your mental health management becomes a factor in caring for patients. Discover how the airline industry can lead by example when evaluating cognitive competence in their pilots. Can the medical profession avoid patient errors by developing some of the same evaluations? Join Dr. Peck as he explores cognitive function as a normal aging function or medical disease impairment strikes. The art of transitioning patients from the hospital back to the community: a Case Management Model to help manage 30 day readmissions. Readmission reduction programs have popped up all over the nation as hospitals seek to avoid readmission penalties. At Sharp Healthcare in San Diego California, we were given the opportunity to participate in the Community-based Care Transitions Program (CCTP) (https://innovation.cms.gov/initiatives/CCTP/), through a grant from CMS to work with other hospital systems and our Community-based organization Aging and Independence Services. Connecting and communicating all these pieces is where the art of managing these patients lies. Electronic data support is essential to success in not only transitioning hospitalized patients between services and departments, but enables hospital based staff to connect and keep track of patients after they are back in the community. Are You Leading Your Practice or Organization? Assess whether you are leading the most efficient practice with these intriguing sessions. Integrated health can only be successful with an integrated and cohesive team. Whether you are the head of your organization or an integral part of the team, strong leaders must be dedicated to safe and high performing practices. Providers are the focus of these sessions as we investigate leadership qualities, performing in a culture of safety. No matter what environment is used to deliver the care, the care can always be improved. In fact, the reimbursement strategies are now providing a combination of incentives and disincentives related to the quality of health care outcomes. Health care providers can find some degree of security in the knowledge that the tools for achieving improvements remain grounded in stable fundamentals. Quality assurance, quality improvement, continuous quality improvement, and total quality management provide the foundations for identifying areas for improvement. These sessions were recorded live at our 2017 Annual Health Care Quality & Patient Safety Conference and are a portion of the online course entitled: A Multifaceted Approach to Health Care Quality and Patient Safety. MACRA, MIPS, and APMs...Oh My! Currently, Medicare measures the value and quality of care provided by doctors and other clinicians through a patchwork of programs, including the Physician Quality Reporting System, the Value Modifier Program, and the Medicare Electronic Health Record (EHR) Incentive Program. Through the Medicare Access and CHIP Reauthorization Act of 2015 (MACRA), Congress streamlined and improved these programs into one new Merit-based Incentive Payment System (MIPS). Most Medicare clinicians will initially participate in the Quality Payment Program through MIPS. Although only in a proposed state now, the rule would improve the relevance and depth of Medicare's value and quality-based payments and increase clinician flexibility by allowing clinicians to choose measures and activities appropriate to the type of care they provide. MIPS allows Medicare clinicians to be paid for providing high quality, efficient care through success in specific performance categories. Alternatively, clinicians who take a further step towards care transformation--participating to a sufficient extent in Advanced Alternative Payment Models (APMs)--would be exempt from MIPS payment adjustments and would qualify for a Medicare Part B incentive payment. We are in the midst of tremendous change in health care. The notion that a physician advisor only needs to know how to determine a proper level of care is well past us at this point. Physicians are taught how to care for patients first and foremost, and that will always be the primary responsibility. Providers are generally not taught how the systems that are built around them work; especially how care translates into reimbursement. How do you efficiently move a patient through the hospital, through transitions of care settings, and through the entire care continuum? How is the quality of care measured? When can you rely on an insurer to tell you if a certain procedure is covered, and when are you expected to know that yourself? Did you just provide free care to an insured patient because you did not know the rules? There are mundane issues that decrease hospital throughput and efficiency that can be significantly improved with simple focusing and coordination of the clinical care team. Additionally, population health initiatives, CMS' Quality Payment Program, and the Protecting Access to Medicare Act are changing how providers practice every day. Health care providers can find some degree of security in the knowledge that the tools for achieving improvements remain grounded in stable fundamentals. Quality measures that support your mission while providing superior care and cutting costs are the key to improving quality. Performance measurement isn't just for health plans. Physicians are increasingly participating in performance measurement activities, especially in the context of pay-for-performance initiatives that are taking shape across the country. Measurement at all levels of the system is fast becoming the norm in health care. NCQA did not create the field of health care performance measurement, but they have refined the process and led the development of objective measures since the mid-1990s when the standardized measurement tool, the Healthcare Effectiveness Data and Information Set (HEDIS), was broadly adopted by the industry. Since then, HEDIS measures have expanded from a narrow collection of process measures to a comprehensive set that assesses a range of important health care interventions and outcomes. The current measures address preventive services, chronic disease management, behavioral health care, appropriateness/overuse of services and value, as well as preventable hospitalizations and patient satisfaction. This course is an important overview of how various state and federal laws have historically limited transparency. In many instances, this has resulted in the protection of paper taking precedence over the protection of patients and caregivers. Find out how changes in the law and new regulations seek to advance a more transparent culture and gain an understanding of the multiple attributes of transparency in a highly reliable learning culture. Providers will determine the risks of transparency and be able to then design processes to advance learning, promote safety, and minimize risk while protecting data. Chart your course for success! Participate in ABQAURP's 41st Annual online course to integrate expert advice from national quality leaders into your practice while identifying best practices and tools to implement on your path to improving Population Health, Quality, and Patient Safety. Don't miss this opportunity to become familiar with legislation and policy driving MACRA, MIPS, and other reimbursement changes. Legislating health care policies and regulations is a difficult task that once in practice may have unintended consequences with long-term implications. The good news is that while issues concerning access and reimbursement continue, the underlying work to address population health, quality improvement, and patient safety is forging ahead. This course was recorded live at our 2018 Annual Health Care Quality & Patient Safety Conference. The 8 hour online course is entitled: Navigating What's Next with Population Health, Quality Improvement, and Patient Safety.